We’d love your help. Let us know what’s wrong with this preview of A Breath Away by Anne Wainscott-Sargent. To ask other readers questions about A Breath Away, please sign up. A native of Dayton, Ohio, Anne Wainscott-Sargent is a corporate storyteller, author, blogger and technology writer. She helps her clients - from Fortune 500 tech innovators, to one of the world's most respected business schools - communicate with impact. Her most recent book, Moving to Atlanta: The Un-Tourist Guide, is an insider's guide to everything one needs to know before moving to the "ATL." A native of Dayton, Ohio, Anne Wainscott-Sargent is a corporate storyteller, author, blogger and technology writer. She helps her clients - from Fortune 500 tech innovators, to one of the world's most respected business schools - communicate with impact. Her most recent book, Moving to Atlanta: The Un-Tourist Guide, is an insider's guide to everything one needs to know before moving to the "ATL." Anne, an 18-year resident of Atlanta, wrote it upon returning to her chosen city after spending eight months in south Florida. Anne intends to complete her first novel, a work of historic fiction set in her hometown, in 2016. 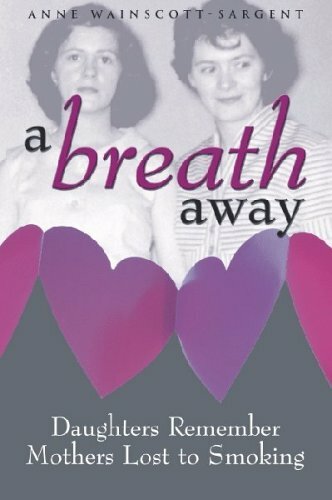 She also hopes to update and release an e-version of A Breath Away: Daughters Remember Mothers Lost to Smoking, her 2005 family memoir, later this year on the 12-year anniversary of losing her mother to lung cancer.